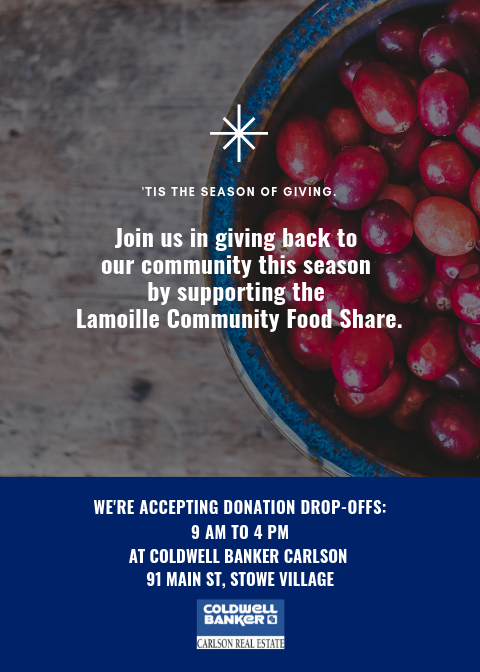 In an effort to help support our local food shelf, Lamoille Community Food Share, we invite you to join us this holiday season, in donating to this vital community organization. LCFS is always in need of food donations, as well as monetary contributions, for our neighbors in need. Thank you for your interest and generosity in helping support our neighbors in need, and ensuring food security for our community.